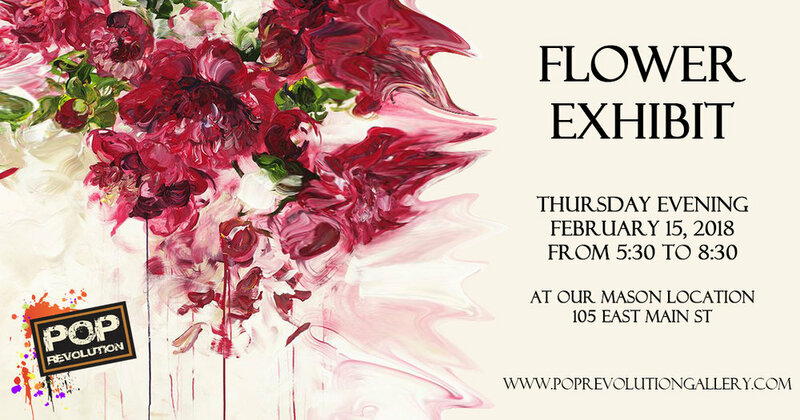 I am excited to announce the opening of the Flower Exhibit at Pop Revolution Gallery in Mason. It is a mixed media show with the theme of, of course, flowers! Is there a better way to get ready for Spring next month? I will be at the opening reception tonight and would love to show you the four pieces I have on display!